On my visit to Pakistan, I saw a lot of people playing with drones on picnic spots. Most of the times I get questioned by people about best cheap drones to buy in Pakistan. Now, people in Pakistan mostly prefer products that are cheap with significant features. So, I came across some decent products under $100 (around 11,000 PKR). Some of these drones might be available on online shopping stores like Daraz. I have tested most of these drones here in Europe as well. Therefore, I will love recommending you guys the list of Cheap drones in Pakistan to have in 2018. So, I will highlight some of the noticeable features of each of these devices along with the Pros and Cons. I will not go into the technical details of any of these devices. K300C is one of the cheap drones in Pakistan for beginners. The drone itself is quite light, and it comes with the 2MP camera out of the box. In the box, you get a USB charging cable, a screwdriver and some extra propeller blades. 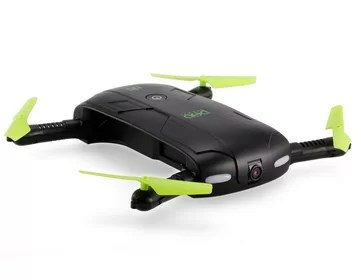 300C comes with a Wi-Fi controller which allows you to connect your phone to the drone camera. Moreover, you can perform 360 degrees flips with this drone. It also has the one key return home button as well. K300C comes with the 2GB SD memory card in memory card slot. Furthermore, it comes with a 600mAh rechargeable battery to power things up. You can buy K300C for a price of 6900 PKR on Daraz website. Syma Drones are the best drones with an affordable price tag. X8SC is the best cheap drone from the company so far. It is super easy to assemble and has a user-friendly interface. 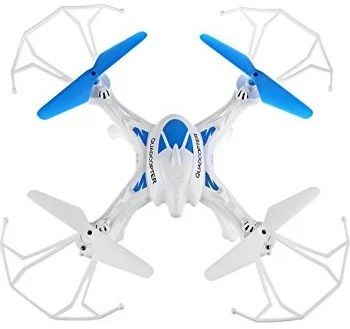 It has a very good camera quality and flight time. Syma X8SC has a durable build quality which makes it quite resistant to crashes. One of the most appealing features of this drone is Altitude Hold. X8SC allows Headless Mode opportunity to newbies to gain more control over a drone. The transmitter that comes with X8SC is super easy to get in touch. You can capture stunning pictures and record 720p videos on a 4B SD card. With 2000mAh battery, you get a flight time of 10 minutes. 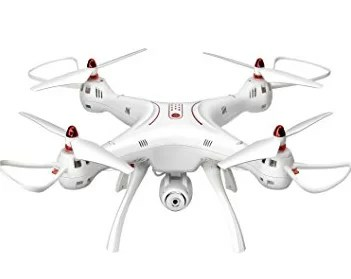 You can get this drone around $90 (10,000 PKR approximately). Again, one of the best cheap drones in Pakistan with nice camera and functions. If we talk about a small and cheap drone, then it’s worth mentioning EACHINE H8 Mini here. 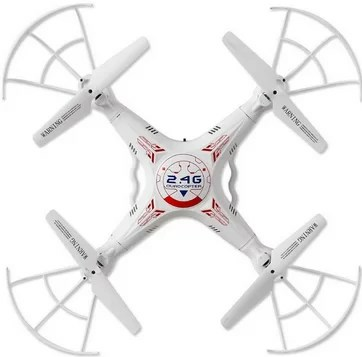 A cheap drone that you can buy for 2400 PKR on Daraz store. Out of the box, you get the quadcopter, controller, USB cable and a bunch of handy tools. H8 is super light in weight and dimensions as well. The whole device can rest on the palm of your hand. It comes with 180mAh removable battery to get you a flight time up to 5 minutes. The battery gets charged in a maximum of 25 minutes. 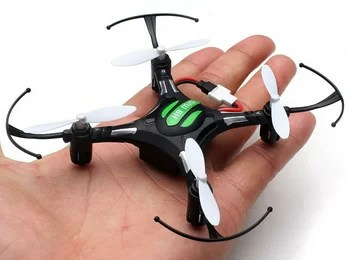 H8 Mini is more of a toy drone, you can perform aerobatics with this guy. I have seen some amazing Flips videos on YouTube regarding H8 Mini. D5 could be the world’s cheapest selfie drones under $50. I wish every drone in the market out there should adopt this design. It is also famous with the name “foldable drone”. In the box, you get a USB charger, spare propeller blades and user manual. The design of D5 is pretty amazing, the arms feel sturdy and can be folded way back inside the body. Moreover, it comes with a 0.3MP adjustable camera at the front. With 500mAh battery, you can play around with 6 minutes when fully charged. The camera footage is not that much worse for such price range. The motor works pretty well while lifting up the drone. The downside is that it does not comes with a dedicated controller. So, you have to use your phone to control this drone. Definitely, one of the cheap drones in Pakistan to get this summer. You can this around 4500PKR from any online store. X16 is a really amazing drone with a decent price tag of 3000 PKR. I will recommend this to newbies in Pakistan. Straight out of the box you get the drone, spare blades and USB charging cable. Though, Lh-X16 does not have any camera it still is the best device with other enhanced features like 6-Axis Gyro and Altitude hold. This allows the drone to capture some really steady and cool shots. The LED lights on the drone help you track it in dark conditions. Whereas, the 2.4GHz controller lets you stay in touch with the drone to avoid any obstacles. Lh-X16 outranks in battery performance all the other cheap drones in Pakistan. Believe it or not, the battery on this quadcopters lasts more than 20 minutes. Moreover, you can perform 360 rolls with a dedicated button on the controller. With so many cheap products available in the market. It’s hard to choose the one you need the most. If you are looking for best cheap drones in Pakistan, then I will recommend you Syma X8SC drone. For the beginners, it is super easy to use and gain a little bit of flying experience.